Jason has worked in senior management positions within the LNG and natural gas industries, logistics and transportation sectors. In the LNG space Jason has been successful in developing market penetration strategies and closing multi-million dollar projects within the mining, utility and agriculture sectors. These projects include LNG for mine haul truck, LNG for power generation in remote communities and mines as well as LNG used for industrial heat in agriculture and product transformation. Jason’s previous role in FortisBC was to develop the domestic LNG high horsepower markets. Jason also managed high horse power LNG sales accounts and has expertise in the knowledge of billing and fuel supply contracts. 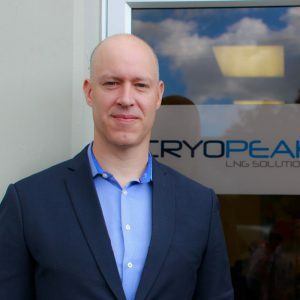 Jason is extremely well connected across the industry and is widely regarded as an expert in terms of the planning, business decisions for LNG versus other fuels for off-grid industries. Jason attained his bachelor of business degree at Simon Fraser University and has worked in the transportation logistics, and start-up businesses for 20 years including his previous role with FortisBC.